Looking at updates in Nigeria, the animal kingdom has issued a warning to that fake Nation called Nigeria. A place where everything is fake, where the qualification for political offices is been determined by the number of people one has killed, the test for political offices is being determined by the amount of public fund one can steal and possibly stolen. If you can lie and deny campaign promises then you can be at the top offices you never dreamt of in Nigeria. A country where people can be butchered brutally just because they exercise their fundamental human rights in the face of democracy, animals can't be this disorganised. A country where one can be arrested tortured and killed just for speaking the truth. A country that love lies and deceit, a country where unqualified politicians are on the seats of offices courtesy of nepotism, marginalisation and favouritism, a country where armless protesters are being treated as terrorist, while the real terrorists that slaughter lives on daily basis for no reason are being treated like kings (Go and sin no more). A country that was built on false foundation, a country that was merged in 1914 with a treaty that the unholy matrimony will only last for a century, and that the component parts will be free to have their own government after a century, a country that has more than 3 thousand languages, different religions, and value system, a county that it's unity is bound on the crude oil of a component part of the country, (The marginalised part) An unworkable sovereign state and a God forsaken country, that the place called Nigeria. Checking these updates, some don't like to be called Nigerians, they have disassociated themselves from the Zoo called Nigeria. Even Lions can't afford to be called Nigerians because lion has conscience, it love little cubs. Lions can never be part of the entity called Nigeria. The worst you can call a tortoise is a Nigerian. It's logic and brightness can never exist in Nigeria. Elephant lamented about the abuse of power, it said that it's size has never for once made it to disrespect the ants. Most of the animals has made a meaningful complaint about calling Nigeria that is not organised a zoo. All these have shown that in the animal kingdom it is well organised than in Nigeria. On the point of view, Elephant said it will issue to Nigerians, what power means, they said that being silly is in their nature that if they behave like men, their creator will curse them and they kept wondering why God still spare Nigerians. Soon they will protest, Birds of the air shall lead the protest in the sky. They are alerting the angels to let them know of their impending actions and to open the heaven's gate for them to air their views to God. The birds went ahead to criticise Nigerian musicians who has lost touch of reality singing only for women and stupid material things, where they live fake lives. The animals made it clear that Zoo is for theirs and hell fire is for Nigerians. 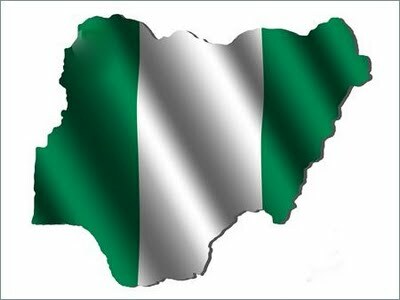 The evil to qualify Nigeria with is yet to be found in human language.